Carnegie Mellon University’s International Film Festival will offer a sneak preview of the festival’s 2016 award-winning lineup with “3 ½ Minutes, Ten Bullets.” The American film that follows the murder trial of Michael Dunn will make its Pittsburgh premiere at 6 p.m., Friday, Feb. 26 in CMU’s McConomy Auditorium. 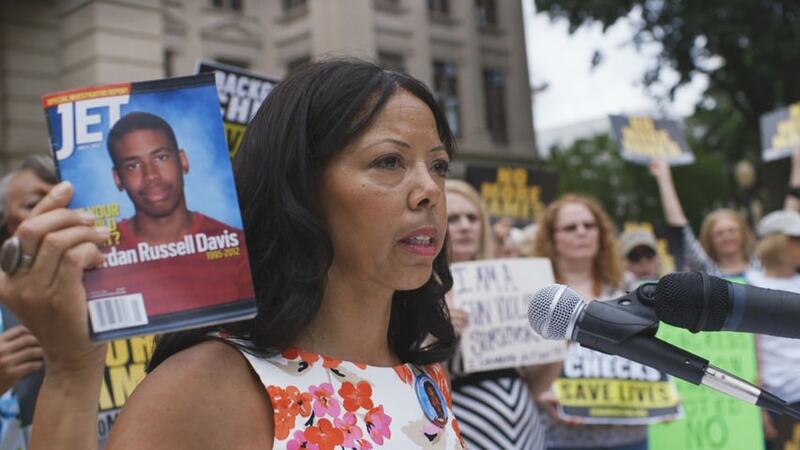 The film documents the chilling true story of the murder of Jordan Davis. On Black Friday 2012, Dunn, a white middle-aged male, and Davis, a black teenager, exchanged angry words over the volume of the music in Davis’ car. Dunn, who was parked next to Davis at a gas station, pulled out a gun, fired 10 bullets into the car full of unarmed teenagers and then fled. Three of those bullets hit the17-year-old Davis, who died at the scene. Arrested the next day, Dunn claimed he shot in self-defense. “3 ½ Minutes, Ten Bullets” follows the journey to uncover the truth, reconstructing the night of the murder and revealing how hidden racial prejudice can result in tragedy. “The topics of racism and gun violence are unfortunately all too common and all too intertwined. We need a way to bring these issues into discussion and move toward solutions. This film is a powerful start,” said Jolanta Lion, festival director and assistant director of CMU’s Humanities Center in the Dietrich College of Humanities and Social Sciences. “3 ½ Minutes, Ten Bullets” has won several awards, including the 2015 Sundance Special Jury Award for Social Impact, and was on the Oscar shortlist for Best Documentary Feature. The film’s director, Marc Silver, will record a video greeting that will be shown at the screening. Davis’ father, Ron, will attend the screening on behalf of the Jordan Davis Foundation, which he founded, and speak on his work to reduce gun violence in remembrance of his son. He also will join a panel discussion among local law and gun safety experts. “3 ½ Minutes, Ten Bullets” precedes the 10th anniversary of CMU’s International Film Festival. This year’s theme is Faces of Conflict and will include a series of films portraying conflict in a global context. The festival will run March 17-April 13 at various locations throughout Pittsburgh. The sneak preview is presented in partnership with the estate of the late CMU Professor Paul Goodman and Teletracking Technologies, Inc.; CMU’s Idea Space: Innovative Solutions for Gun Violence and Gun Safety, Center for Africanamerican Urban Studies and the Economy (CAUSE) and Division of Student Affairs; the Sembene Film and Arts Festival; and radio stations WESA and WYEP. Tickets to the sneak preview are $5 for seniors and students and $10 for general admission. Tickets include a dessert reception following the film. Find out more about the film festival, including schedules and pricing.